CHENNAI: The Indian Super League has often been accused of being anything but Indian. With six foreign players on the field most of the time, the question of just how much time Indian players will get to develop is a valid one. But every season, there are a couple of players who seize the minimal opportunities on offer and end the season on a different plane than where they started. Perhaps the brightest spark for Indian football this season has been Jerry Lalrinzuala. 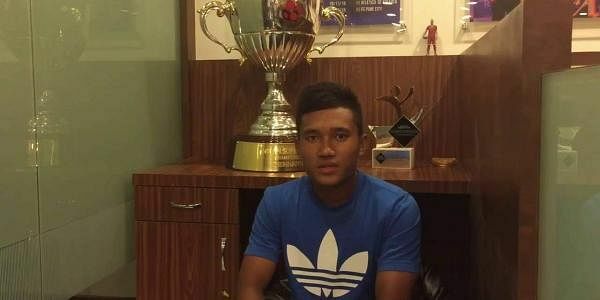 The 18-year-old Mizo was part of a group of five youngsters that Chennaiyin FC signed from AIFF’s Elite Academy. When their captures were announced, it was thought that staying and training with Chennaiyin would be a learning experience for the group and little more. But not only has the diminutive Jerry managed to get on the field, he was also one of the first names on Marco Materazzi’s team-sheet throughout the competition. Another youngster who has come out from nowhere to shine has been Kean Lewis. The 24-year-old Maharashtrian did not get too many chances with Mohun Bagan in the I-League, despite impressing in the Calcutta Football League prior. But he has put all that behind him with a series of impressive performances for Delhi Dynamos. Only CK Vineeth has scored more this season among domestic players. Speaking of Vineeth, it remains to be seen how Stephen Constantine can overlook the Kerala player for his next national squad. Vineeth was one of Bengaluru FC’s main stars during their run to AFC Cup final and he has carried over that form into the ISL. It can’t get much better than five goals in six games. Rowllin Borges too has managed to cap off an eventful year with a great ISL. The 24-year-old Goan was one of Sporting Clube’s best players in the I-League and managed to convince Constantine of his abilities. He would hope that his performances for NorthEast United would help him retain that national team spot. Another player who might have forced his way into Constantine’s thoughts is Souvik Chakraborty. The defender has been ever-present for Delhi Dynamos this year, managing to play every single minute of the league so far.